The show Paraíso pintado has won the Zirkòlika prize for the Best Circus Show of the Hall or Tent of 2017. It was premiered during the Grec Festival 2016 and directed by Ferruccio Cainero. It deals with the drama of migrations and is a call to not sit still before any injustice. 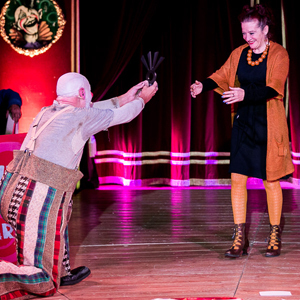 The prizes have been awarded at the Raluy Historical Circus after the Night of Circus show.